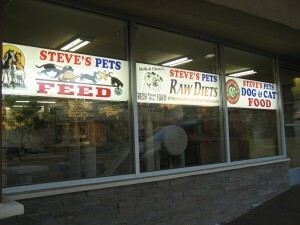 Steve’s Pets is a family-owned and operated pet store and grooming shop, in business for over 25 years. Located in the heart of Altadena on Lake Avenue, Steve’s Pets offers convenience, quality products, and fantastic service that you can rely on from a locally-owned business. We offer grooming services and a wide variety of pet food and supplies. We also sell reptiles, rodents, birds, fish and other live animals.